John W. Devenport, my father’s grandfather (at present his birthplace is unknown, but his first children were born in Tennessee according to the 1850 census). His later children, including my grandfather were born in Kentucky. He left Kentucky about 1828 and settled in Franklin County Tennessee. His land was located on Rock Creek, a north branch of Elk River. Here he farmed, raising corn, tobacco, wheat and had hogs and cattle, oxen, and horses. The farms were not large, just little patches along the canyons and hillsides. His wife, Mary, was born in North Carolina in 1782. Their known children were (1) Nancy, born in 1808, she married William Gibson and had a large family. (2) Martha, who married Randolph Gibson and had six children. She was born in 1809. (3) Jeptha, (4) Samuel T., and (5) James (my father’s father) were the sons. The youngest daughter was (6) Luvina, who married Samuel Duckworth. James married Mary Hasty. His middle name was McDonald, as was my father’s, William McDonald. 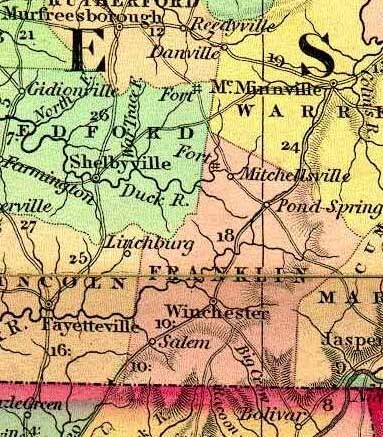 There was a large family of Hastys in Franklin County after 1820. The oldest was Benjamin, who from all indications was Mary’s grandfather. Her husband, James McDonald Devenport, was listed as an heir in Benjamin’s will. Benjamin’s wife was also named Mary. John W. Devenport died 24 October 1844. His son, Jeptha, was made executor of his estate. Jeptha was also bonded as guardian of Martha Gibson’s children after their father’s death, which occurred in 1841. My grandfather, James McDonald Devenport (left, above) and Mary Hasty were married 11 December 1844 at Winchester, Franklin County, Tennessee. (See map below of Franklin Co.) She was only 14 years old. She was very tall, being 6 ft. in her stockings. She was dark complexioned — very dark eyes and hair. My mother said my sister, Bertha, looked more like her than any of her own children. She was Pennsylvania Dutch, according to her children. 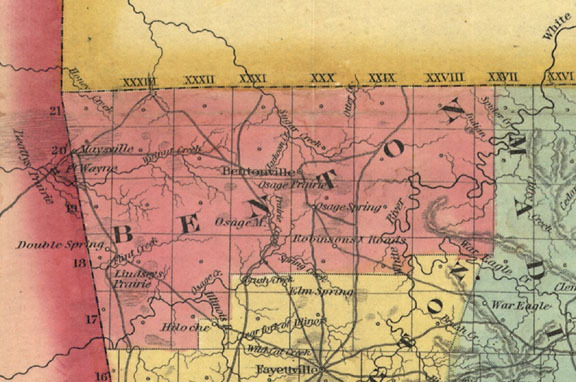 In 1848, four years after his father died, James and his wife, Mary and their baby, Jeptha, moved to Benton County, Arkansas (see 1850 map below) Also, his mother Mary was with them in 1850, and his three sisters and families were in Benton County.James and Mary had a large ranch of about 200 acres on Osage Creek, near Bentonville, Benton County, Arkansas. Five of their children were born here — Rachel Elizabeth, John Benjamin, Samuel T., Mary Martha, and Nancy Birch. John B. and Samuel T. died as young children in Arkansas. In April 1859, they sold their farm on Osage Creek to Nicholas Nail and William M. Brown. They then moved to Colorado near the place where Denver is now. This was in gold rush times. He owned land here where the city of Denver stands. James Robert was born her September 14, 1859. The gold fever soon died, and James was off to Nevada with his family. A daughter, Leona Leoria, was born on their way, at The Big Muddy in Utah Territory. 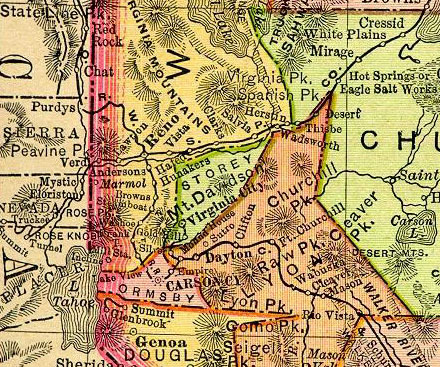 The family settled at Washoe, a small settlement a few miles from Carson City, Nevada (see 1895 Nevada map below). 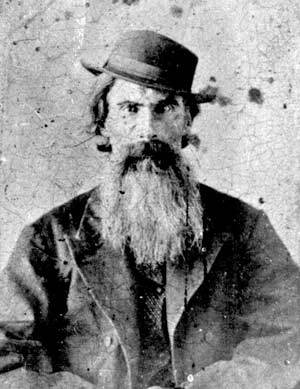 Grandfather was a farmer and raised hay and oats and sold to travelers, and also hauled freight to the mines at Virginia City. My father, William McDonald was born, 3 December 1864, and a sister, Amanda Josephine, was born 13 February 1867. In 1868, the family had moved to Virginia City. Here a daughter, Selistia Virginia, was born, 1 October 186W. They then moved to White River, Nye County. Here he farmed again. Two more children were born— Thomas on 11 April 1871, and Lillian Maude, who always went by the name of Nevada or Vade. She was born 6 November 1873. 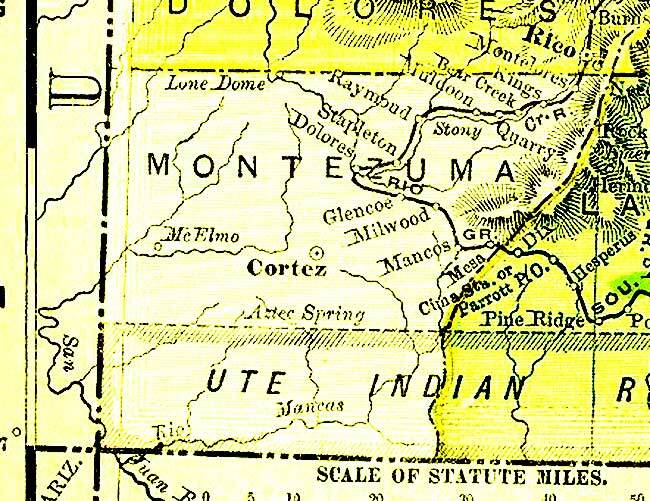 In 1880, the family moved to Mancos, Montezuma County, Colorado (see 1881 map, below). Here they farmed and contracted building fences and cutting ties for the railroad. Altogether they had 13 children. Two died in Arkansas. Jeptha died at Washoe, Nevada when he was 18, and Nancy Birch died at White River when she was 15. The others lived to adulthood. James and Thomas never married. Mary Hasty Devenport was a Methodist, as her people in the South had been. She went out as a midwife and nursed other sick and took care of her own large family. She was ill of rheumatism for a number of years and finally died, too young, from it, March 26, 1883. She was buried in the Mancos Town Cemetery.James lived with his daughter Joe (Amanda Josephine), who was now a widow. He died at Cortez April 8, 1896. He was buried at Mancos beside his wife Mary. Additional information regarding William McDonald Devenport’s "People” researched since 1970 when mother died:John W. Devenport, father of James McDonald Devenport, was born in North Carolina in about 1785. On October 2, 1804, he married Mary McMullan in Orange County, North Carolina. John W. Devenport’s parents were Samuel Devenport and Martha Turrentine Devenport. Samuel was born about 1760 and died in 1796 in Orange County, North Carolina, leaving his wife, Martha, and three children all under 12. These children were Isaac (born about 1784 who married Mary Campbell 12 Jan. 1805); John W. (born about 1785); and a daughter (whose name we don’t have) who married John Hendricks. She was born about 1786. John W. Devenport’s mother, Martha Turrentine Devenport, was born about 1764 in Orange County, North Carolina. Alexander was assigned to Neal McClaskey and Samuel to John Dicky for a period of four years to serve out their indentures. This was in Philadelphia, Chester County, Pennsylvania.They were “freemen” in 1749 or 1750 — listed in Nottingham Twp, Chester Co., Pennsylvania in 1753 and 1754. By late in 1754, they owned “wheat patches” in Menno Twp, Mifflin Co., Pennsylvania, on Kishacoquillas Creek — a tributary of the Juniata River, across the Allegheny Mountains. Samuel had 113 acres and Alexander had 99 acres. They were driven out when the French and Indian War broke out. They sold their property to a John McDowell. It appears that Samuel and Alexander joined the migration down the Shenandoah Valley to North Carolina and, on January 29, 1761, Samuel Turrentine was granted 394 acres of land at the Fork of Little River, Orange County, North Carolina. Alexander Turrentine was granted 275 acres of land on both sides of Buffalo Creek on January 9, 1761. In 1764, Samuel Turrentine was appointed constable. He regularly bought and sold land having about 724 acres. Alexander served in the Revolutionary War and Samuel furnished cash and supplies to the Militia. 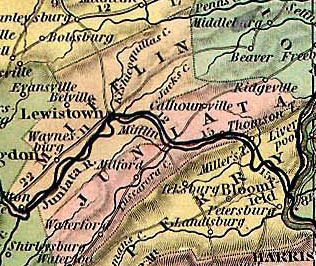 Samuel must have married in Pennsylvania, for the first recorded child was John, born in about 1755. Then followed children: Mary, born about 1760; Jane, born about 1762; Martha, born about 1764; and Deborah. We find no record of this first wife’s name. In about 1768 or 1769, Samuel married Mary (Mollie) Bryant and had 8 more children. 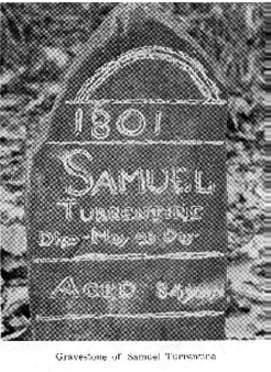 Samuel Turrentine died May 23 1801 in Orange County, North Carolina, at age 84. Alexander Turrentine married a girl named Deborah and 8 children are recorded from this marriage. Alexander died in 1784. Samuel and Alexander are both buried in the Turrentine Cemetery just outside of Hillsboro, Orange County, North Carolina. Turrentine Family in the Media]. Mary Hasty Devenport, wife of James McDonald Devenport, and mother of William McDonald Devenport, was born 31 January 1830. Her father, Benjamin Hasty, Jr., was born about 1800 in North Carolina. We do not know his wife’s name. They had four children: Benjamin W., James, John, and Mary (often called Polly). The father, Benjamin Hasty, Jr., died in Alabama between August 1840 and December 1842. His children were all under age 21 when he died. Jonathan Lasiter was appointed Guardian of his four children. Jonathan Lasiter was a neighbor of the John W. Devenport family and, it is possible, that may be how Mary Hasty met James McDonald Devenport, whom she married. Benjamin Hasty, Sr., Mary’s grandfather, was born in North Carolina (probably Richmond County) in about 1769. He married Mary Warren in North Carolina and they had 10 living children when Benjamin died 22 August 1840. The first 5 children were born in North Carolina and the last 5 were born in Tennessee. 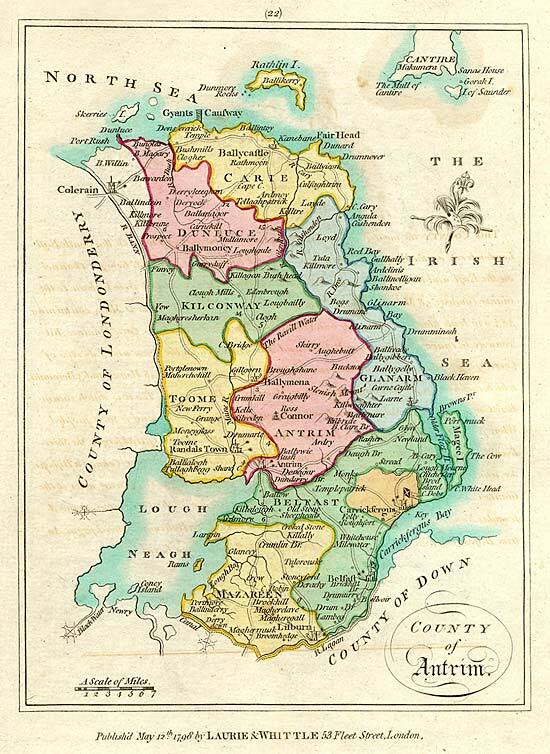 We do not know for sure who Benjamin Hasty, Sr.’s parents were, but it appears they may have been from the branch that came to America from Scotland to Antrim County Ireland and then to Southampton County, Virginia, and later migrating to Richmond County, North Carolina. We are still trying to prove this connection. This Hasty was James Hasty, born about 1670 in Scotland and dying about 1706 in Antrim County, Ireland. His son, James Hasty (born about 1700) came to Virginia (Southampton County); married Elizabeth and had 10 children. Many of these children and grandchildren left Virginia and went to Richmond County, North Carolina. Most lived and died in that area, but some went to other Southern States. Our Benjamin Hasty, Sr. and Mary Warren Hasty were both born in North Carolina and were in Tennessee by about 1810.